CHECK OUT OUR CONFERENCE PAGE HERE! QFCE designed a playlist this holiday season, just for you! Check it out here! 1 in 5 internet users between the ages of 15-29 have reported been cyberbullied or cyberstalked? Peer pressure can occur in positive forms to boost self-confidence? 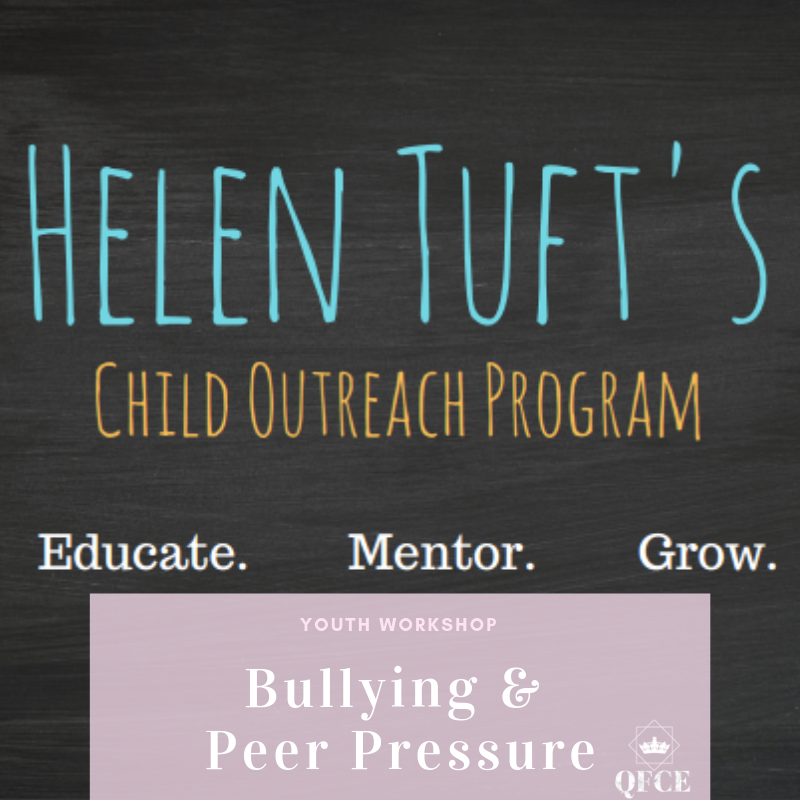 41% of all students in grades 4 to 7 reported that they were victims of bullying and/or bullied others monthly? 85% of bullying takes place in front of other people? Read about our workshop here. The interviewee kindly asked to remain anonymous and we thank her for sharing her experiences with Queen’s for Critical Empowerment. Our interviewee’s experience as an Indigenous woman in Canada is far from isolated, as exemplified by Mique’l Dangeli’s experience fighting the Federal Government earlier this summer. She is a member of the Tsimshian First Nation and their territory is located on the Canada-Alaska border. Her Canadian citizenship was threatened earlier this year due to the Federal Government’s recognition of her and her territory as outside of Canada. Mique'l argued that she is not an immigrant to her nation's traditional territory and discussed the importance of remaining on traditional territory for the cultural continuity of her language. Her story exemplifies contemporary struggles Indigenous peoples face against the dominant social order, similarly shown by our anonymous interviewee’s contribution. As per the request of the interviewee to remain anonymous, we took the opportunity to share Mique’l’s similar story to raise awareness of contemporary issues faced by Indigenous women in Canada. Medical racism is a topic often undiscussed. Savannah discusses the ethics and societal influences impacting the methods in which medical racism is apparent within various case studies. Read her article here. Interested in learning more about women in film? Learn more about the industry here. We invite you to our first QFCE's Cocktail Hour fundraiser! Enjoy an few specialty cocktails (alcoholic & non-alcoholic) and some delicious food at one of Toronto's premium Mezcal-based bars!! By attending, you will be help us fundraise towards our educational outreach programs and initiatives targeting young girls between the ages of 8-18, as well as our inaugural conference. Experience the summer cocktail that everyone is talking about, while getting to know us!